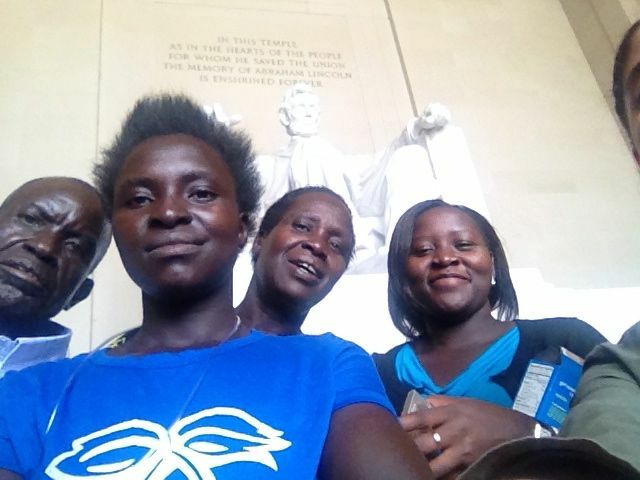 Home »In the News »Other News »Ugandan Family Visits Washington, D.C.
Ugandan Family Visits Washington, D.C.
A family from Uganda with three teenage members affected by a seizure disorder called Nodding syndrome recently visited The Children’s Inn. The disorder strikes at about age five and seizures and their aftereffects affect intellectual and physical development. Although the disorder has been recognized for more than 50 years, the cause has remained unknown. Nodding syndrome currently affects about 3,000 children in northern Uganda and surrounding nations. Through a collaboration between the Centers for Disease Control (CDC), the U.S. Department of State, and the NIH, the family of ten came here to participate in an evaluation at the NIH Undiagnosed Diseases Program. The affected children stayed at the Clinical Center; other family members stayed at The Children’s Inn and visited the hospital daily. The simple rural way of life for the family members is in great contrast to the sights and sounds of the world’s largest hospital dedicated to clinical research. Speaking a native dialect called Acholi, the family members relied on translators to understand their English-speaking clinicians. Not only was the visit an unprecedented opportunity for biomedical researchers to learn more about a rare disease, it was a chance for both the Ugandan family and The Children’s Inn staff to learn more about each other’s worlds. To make the family feel at home, the inn’s nutritionists researched their traditional diet and prepared similar meals. Likewise, the family worked up the courage to try some foods that Americans love—like bagels with cream cheese! 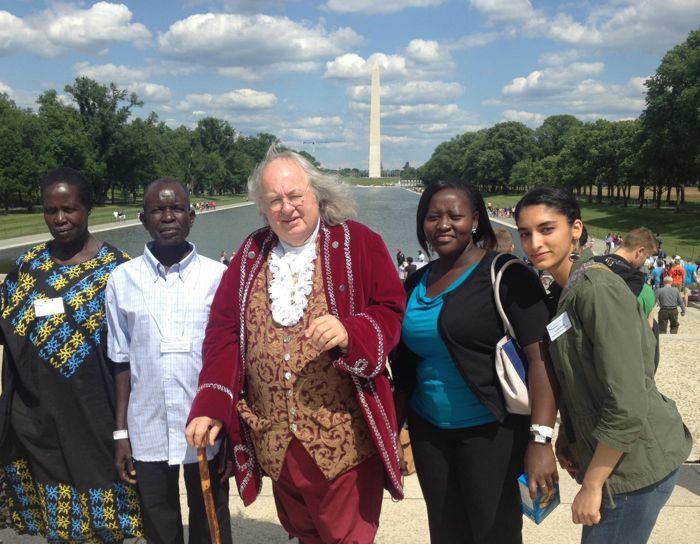 Inn staff also took the mother, father and an older sister (along with a translator) to see the monuments in downtown Washington, D.C. To a family that has experienced intense civil war left with scarce resources, they were not only fascinated with the monuments they visited (Washington Monument, Lincoln Memorial, MLK, and FDR) but were also captivated by the number of green trees they passed on the highway, and discovered how to take “selfies” on their guide’s phone.